Top Producers in Solano County selling Fairfield, Green Valley, Suisun, Cordelia, Vacaville, American Canyon, Vallejo and Napa. They believe that clients are to be treated with the utmost care and be retained as clients for life. Katherine has been rated among the top 1% of Real Estate agents nationwide and has been selling real estate since 1978. 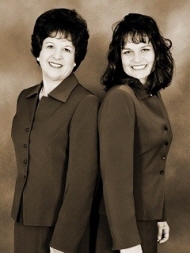 Christine joined her in January 2002 and together they have been featured in the Wall Street Journal recognized for their production, remarkable Market Expertise & Exceptional Customer Service. They are both life long residents of Fairfield & Green Valley area. Our private office is open to you at any time. The Grand Opening of the RE/MAX Gold Green Valley office location is set for Fall. We are so happy to be a part of this exciting Green Valley Office. Outstanding Agents. Outstanding Results. For dedicated & professional real estate service give Wiley & Wiley a call 707-816-1033 or email agentwiley@aol.com for Christine AgentWiley@comcast.net for Katherine.